DentalPro Clinic is a modern dental center where any potential patient can find a team of Dental Professionals with knowledge and ethics. We love our job and we are committed to perform it with passion, humanism and excellence! 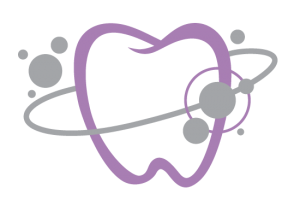 As dental professionals we acknowledge that each patient needs a personalized approach with a treatment plan that suits his/her personal needs and desires, based on ethical and patient-friendly measures. Our vision is to make people confident with their smile and dental function for the rest of their lives. Throughout the years I have had many issues with my teeth, from being a 1-2 pack a day smoker and drinking a lot of soft drinks on a daily basis. Due to the damage to my teeth I was very self conscious when speaking in public and especially smiling. Other than the physical appearance, I was also worried that at the rate I was going I was at risk of having further issues with my teeth or even having them removed. I was referred to this dentist by my sister who lives in Limassol, and travelled from Nicosia to Limassol to see him. He managed to replace all of my damaged teeth with implants and did a fantastic job. He continues to do regular check ups to make sure everything is ok with my teeth. Dr. Andreas Hadjicharalambous has given me a new approach at life now that I have my confidence back and my teeth are healthy looking. I am an Australian Cypriot who recently came to Cyprus for a holiday. In the first week of my trip, an old filling from one of my wisdom teeth fell from my tooth, causing the tooth to spit in half and chip away, leaving the root of the tooth exposed which was very painful. I was worried that I would need to have the rest of the tooth removed and had a new tooth implanted. Other than being concerned about the state of my tooth, I was also concerned the damage would be quite expensive to repair. I could not wait until my return to Australia to see a dentist, so I asked around and Dr. Andreas Hadjicharalambous came very highly recommended to me. When I contacted the clinic, and I told them the urgent state I was in, they were very accommodating and immediately booked me in for a consultation within one day. After the first consultation, the dentist told me that I wasn’t going to have the rest of the tooth removed and that he could replace the filling and put a cap on top. I was thrilled with the amazing result as the dentist made the cap look like a real tooth! I was very happy with the service, the timeliness, and the doctors gentle work for a very reasonable price. Dr Ypsilanti is a skilled, thorough and professional periodontist. She is particularly good in minimising patients’ discomfort especially when injecting anaesthetics. I started having big problems with my teeth a long time ago! In 2010, I came to Mrs. Ypsilanti for the 1st time. What can I say? She is a specialist with the highest level and knowledge, extremely kind and attentive to detail, I have overcome my fear for dentists and more so, I have solved my dental problem. For me the most important part is the professionalism, patience and the tactics of Mrs. Ypsilanti and not to forget her determination. The result is mind-blowing. The complex procedures have been carried out efficiently, painlessly and cost effectively in a matter of no time!Since I started visiting this dentist, I have no fear for what is next – This is a fact! My name is Mrs Giannoulla Andreades and I would like to say how satisfied I am with Dr. Kyriaki Ypsilanti for the Periodontal Treatment I’ve had the past month.She is an excellent doctor and took her time and had a lot of patience with me. She has a very good personality and I give her a lot of credit for her work. Dr. Andreas Hadjicharalambous replaced all of the implants on the right side of my mouth. I was very concerned to have all the 6 implants redone, but I was so pleased with the final result, the doctor’s gentle approach, and to have results in such a short amount of time with such an effect rate of costs. I believe the prices are very reasonable and affordable for the great work he does and he does the job in a very short time period by providing regular appointments and check ups. All the staff in the clinic are so friendly and always do the best to provide the best services. I would like to publicly express my regards to the dentist Andreas Hadjicharalambous and the periodontist Kyriaki Ypsilanti for their greatly professional treatment they provide to me every time I need them. Their kindness, formality, organization skills, cleanness, and human approach, have turned me into a dedicated customer for over ten years. Now I go through the difficult procedure of dental implants with ease thanks to their caring nature. I have been to many dentists in Limassol, but yours is really by far the best. Not one bad experience – always quick and painless. I referred many people to go to you family, friends, co-workers and everyone is extremely satisfied. Keep up the good work! !